Last year, I happened to have a conversation with an international student about the June 4th Publication. At a point he left the above remark, which left me stunned and completely speechless. That year doubts regarding the relevance of “Remembering 4th June, 1989” were also further highlighted in the local community. While various Chinese articles might have made sufficient responses, the messages were hardly transferred to the English group. What does June Fourth mean to Hong Kong? The poem “Remembering 4th June, 1989” could be a starting point. Written by Louise Ho in 1994, the poem’s record centers on Hong Kong people conscious of the 1997 deadline. The 1989 Tiananmen Square Massacre was set in Beijing. Students and workers calling for democratic and economic reforms were “Crushed, shot, taken, all overwhelmed,/ Cut down without a finished thought or cry”. Following the description of “our neighbor’s blood”, the poem turns to the shock and bewilderment of people in colonial Hong Kong. For Hong Kong, 1989 was a moment of realization and change. In the 1980s, the “Reform and Opening-Up” policy in China was accompanied with intellectual liberation from the Cultural Revolution. The Sino-British Joint Declaration in 1984 confirmed China’s principle of “One Country, Two Systems” in ruling Hong Kong, and that Hong Kong could retain its capitalist system and way of living for fifty years. The call for a “democratic reunification” (striving for democracy while advocating a handover to China) was also popular in Hong Kong. Even when problems of corruption and economic inequality emerged in China, the overall mood of liberation and the 1989 movement seemed to elicit hopes……until 4th June. The “tea party” or “cakes” could be symbols of Western luxury and commercial interest. They were never promised, especially for the masses. Being and realizing “The rock bottom of a totalitarian state”, the city’s identity emerged finally. Before 1989, the remarkable Hong Kong energy was in fact characterized by the new airport on Lantau Island or restless speculations on property and stock markets. Hong Kong was a transient, a place to gather enough money to go somewhere else. The Hong Kong “freedom” could be seen synonymous with the free market and even political apathy. You cannot and need not choose your political leaders, so indulge in choosing your garments . Ackbar Abbas (1992). Introduction. City at the End of Time 形象香港: Poems by Leung Ping-kwan 梁秉鈞詩選 (Vol. 1). Hong Kong University Press. In 1989, this commercial transient “First time, ever, rose up as one.” On 21st May, 1 million Hong Kong people took to the streets to voice support for students in Beijing. The Happy Valley Racecourse—echoing the Chinese government’s promise “Horse races will go on and nightclubs will stay open”—was transformed as the place for assembly. On 6th June, 1.5 million Hong Kong people planned to march in response to the Tiananmen Square Massacre. 1989 seems to be a moment of political awakening for Hong Kong people. Louise Ho (2002). Hong Kong writing and writing Hong Kong. Hong Kong English: autonomy and creativity(Vol. 1). Hong Kong University Press. However, the Hong Kong identity and the English language are characterized and frustrated by commercialization. After the Tiananmen Square Massacre, there has been a trend of emigration in Hong Kong. In the 1990s, “astronauts”—fathers who worked in Hong Kong to support their overseas families—have become a common phenomenon. Hong Kong has resumed its identity as a commercial port and a place of transients. The critic Ackbar Abbas even suggested that the march in 1989 was a rare moment when economic self-interest misrecognized as political idealism, despite there was genuine care . The “one” Hong Kong cultural entity was momentarily realized and continued to take some effect. But as Louise Ho noted in her poem, “we went our separate ways again”. 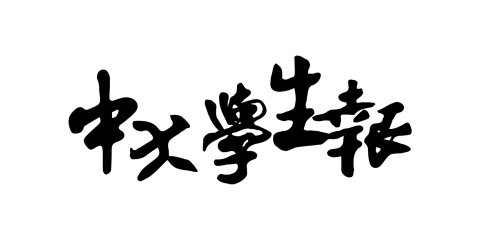 The Hong Kong character of a transient port determines its use of English. The language’s nature is often depicted as either suppressive or marginalized, and the downright cause would be a sole focus on instrumentality. In March 1997, the British government announced that only 100 out of 460 secondary schools would be allowed to use English as a teaching medium in the future . This caused objections from schools and parents, and the major parental concern was that the English-medium schools would become accessible only to upper-middle class children (and lead to further disadvantages in the global market). 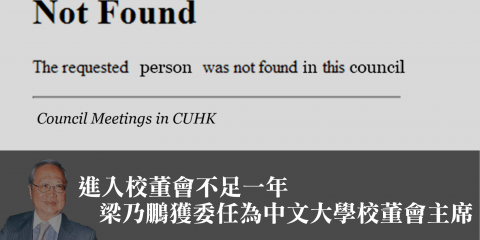 In 1999, the Hong Kong government allowed schools to choose their medium, and the positioning of instrumental English remains. Elaine Ho(2010). Chinese English, English Chinese: Biliteracy and Translation. 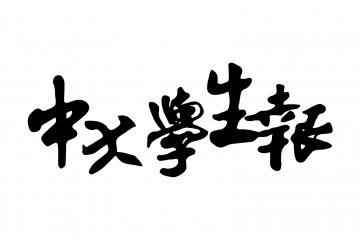 Hong Kong culture: Word and image(Vol. 1). Hong Kong University Press. Leung, P. K. (2012). City at the End of Time 形象香港: Poems by Leung Ping-kwan 梁秉鈞詩選 (Vol. 1). Hong Kong University Press. “Those of us writing in the English language in Hong Kong would know the feeling of isolation, perhaps of functioning in a void,” penned Louise Ho . While service English in Hong Kong was popular, daily English expressing local feelings and scenarios is often neglected, let alone literary English. Similarly, the English speakers often find themselves isolated in daily interactions and non-tourist conditions. Louise Ho (2003). Foreword. City Voices: Hong Kong writing in English 1945 to the present (Vol. 1). Hong Kong University Press. 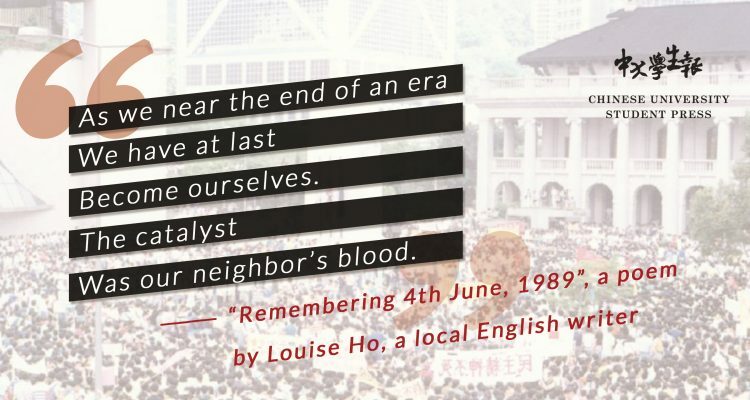 The poem “Remembering 4th June, 1989” is a conversation conveying the shock, beauty, identity, profit-driven quality of the Hong Kong audience in 1989 and then. It ends with a positive note on Hong Kong people’s genius. Even when such genius belongs to “ours”, however, each of us could only survive the tense situation “in his own way”. The city of isolation still awaits a more unified community and a more accommodating identity.